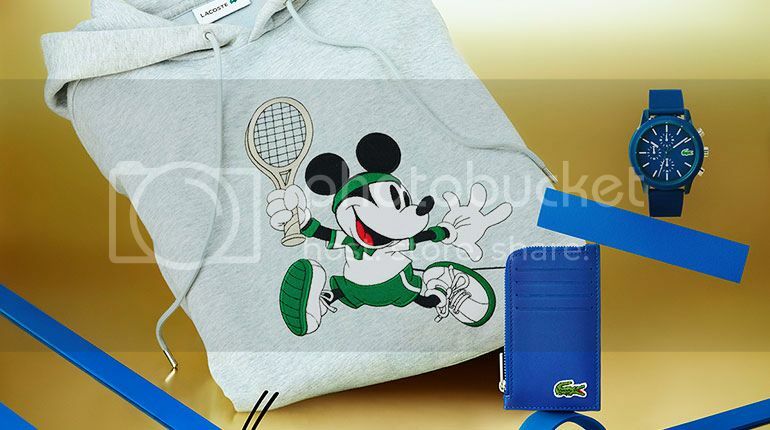 LACOSTE partnered with Mickey and Minnie to celebrate their 85th and 90th anniversary respectively. The collection is set to launch on 14th November, featuring men's, women's, and kid's collection, including leather goods and footwear. 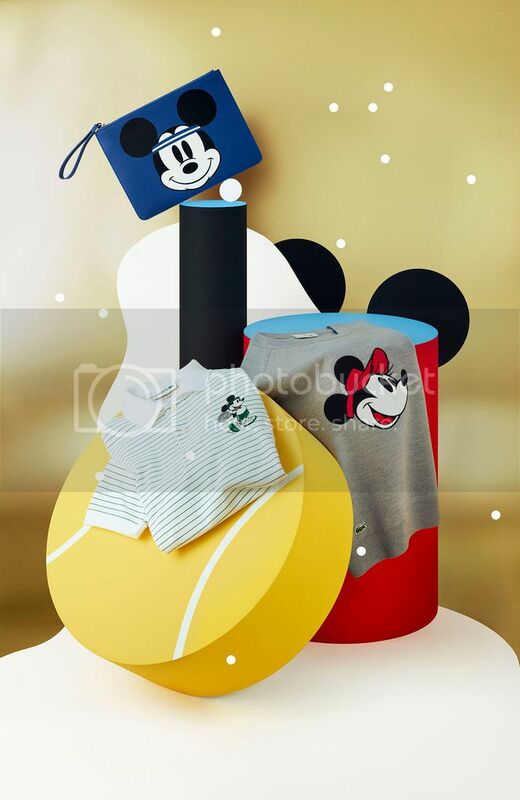 Mickey Mouse, the “True Original”, and his sweetheart Minnie have inspired the brand new collection, consisting of nearly thirty different nostalgically designed items of clothing, sneakers and leather goods which are decorated with bespoke character artwork and icons. In addition to embroidery, LACOSTE innovates with 3D printing and expert piqué applications to redraw the profile of these two timeless and universal figures in a modern way. Faithful to the two worlds, the colour range uses conventional shades such as navy blue, white, heather grey, pale pink and touches of green combined with brighter colours such as a clear blue or a brilliant red. Take a sneak peek of the capsule collection below. Many fans around the world love Minnie Mouse as the true fashion icon. Elegant and dressed in a pleated skirt, she is ready to serve, embroidered on a polo shirt or printed as a silhouette on the front and back of a fleece dress. Embroideries and piqué applications combine to form her friendly face, with a peaked cap on her head, on the front of a striped sweater or sweatshirt. For a touch of nostalgia, Disney’s “True Original” strikes a pose on five men’s articles with a slightly retro look. Embroidered with a racket in his hand on the front of a plain or striped polo shirt, he displays his beloved personality and mischievous ways on a T-shirt as the match goes on. A hoodie reproduces the graphics of the polo shirt in outsize form on the front while Mickey’s silhouette is printed on the back. A striped sweater and a sweatshirt display the features of the Disney icon whose famous ears are adorned with a tennis headband. Children don’t have to miss out either, as the adult polo shirts and sweatshirts come in children’s sizes as well, with two models which are complemented by a T-shirt carrying a picture of Mickey Mouse for boys and Minnie Mouse for girls. 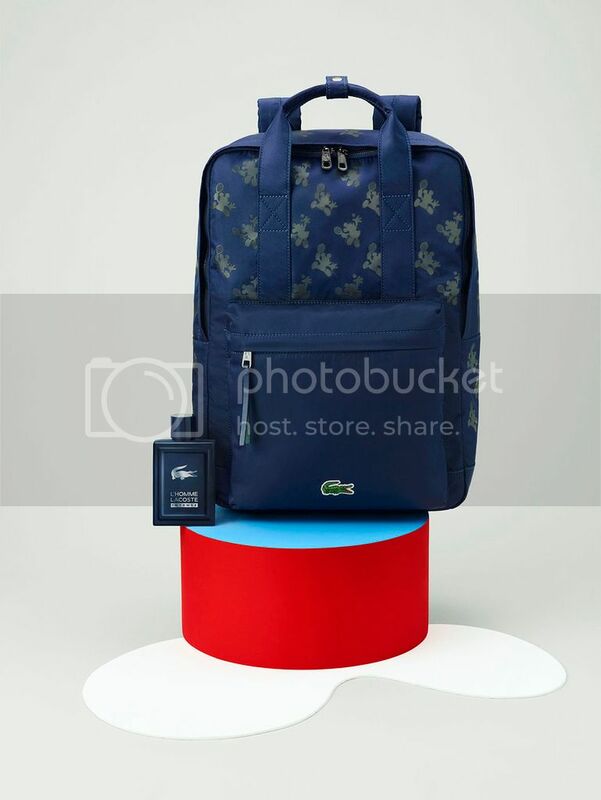 Practical and playful, a backpack printed all over with a black Mickey Mouse silhouette and two blue or red petit piqué PVC reversible tote bags are decorated with the faces of Mickey or Minnie Mouse, not forgetting small leather articles such as men’s and women’s wallet, a round purse and a zip-up pouch which join forces with the textile line. 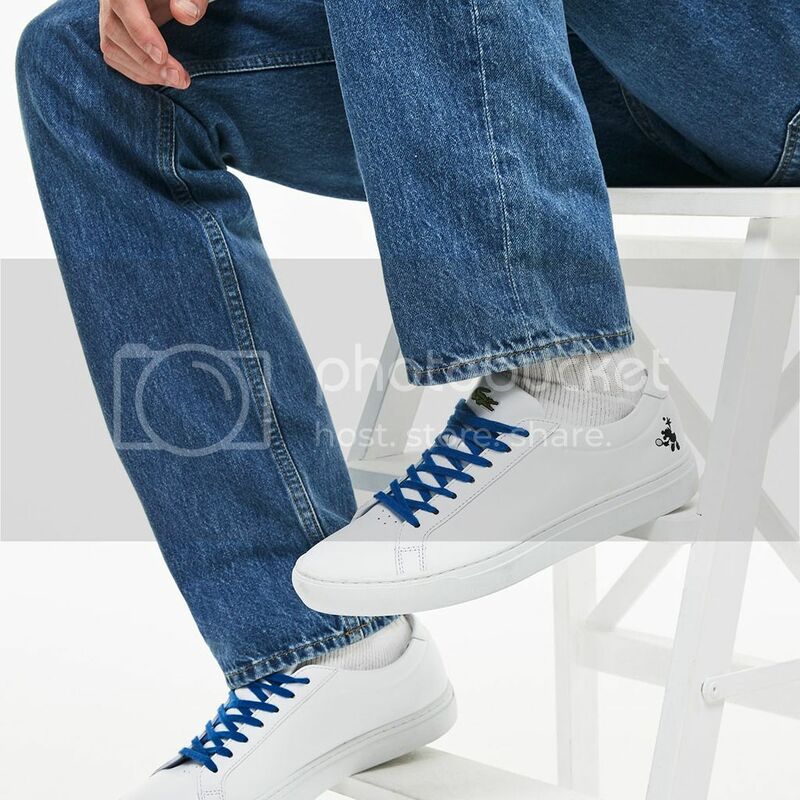 To complete the look, the range includes canvas sneakers in adult and children’s versions. White and decorated with a black Mickey Mouse silhouette on the heel, they come with an all-over print for young children. Available from 14th November 2018 at Lacoste stores.